Some days I run hard. Race training: maximum efforts, hurting, oblivious to everything except the pounding in my temples and the battle between body and mind; one screaming “stop” the other willing a few more moments of effort. I am enveloped in my own little bubble of pain. Thankfully I also like to run easy. Long steady trots when I can appreciate the scenery around me, when I can stop to gaze at distant blue hills or focus in on the minute details close by. As the seasons change so does the view and it is seldom the same even on the bleak moorland. 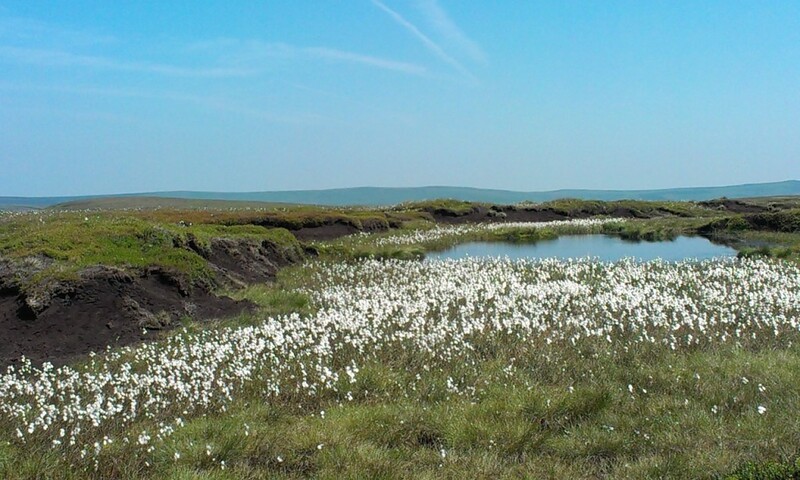 This summer a vast sea of cotton grass covered the moors transforming them into a shimmering silver sea. 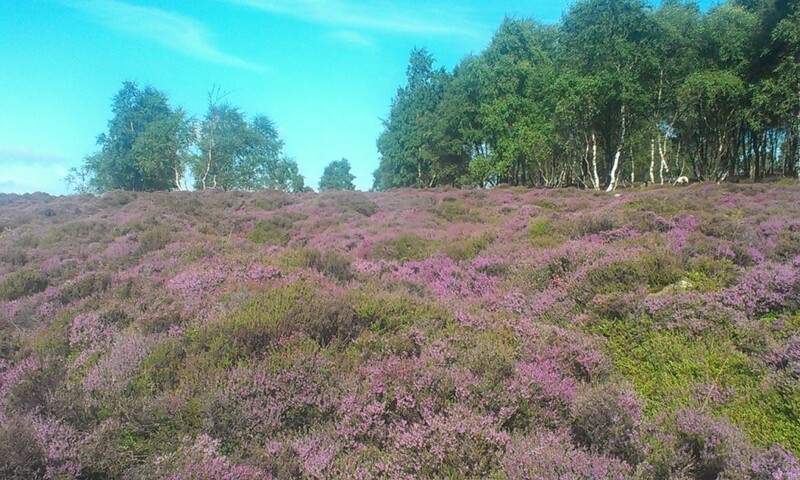 The heather, turning purple under a summer sky shows different hues and closer inspection reveals subtle differences between Bell Heather, Cross Leaved Heath and Ling. Hidden away on the moors other plants can be found; the tiny Tormentil with its four bright yellow leaves, delicate Heath Bedstraw with minute white flowers, slender pale blue Harebells, Bilberry its crimson globes beginning to form the Autumn’s bounty and Cladonia a tiny lichen fantastically named the Devil’s Matchstick. 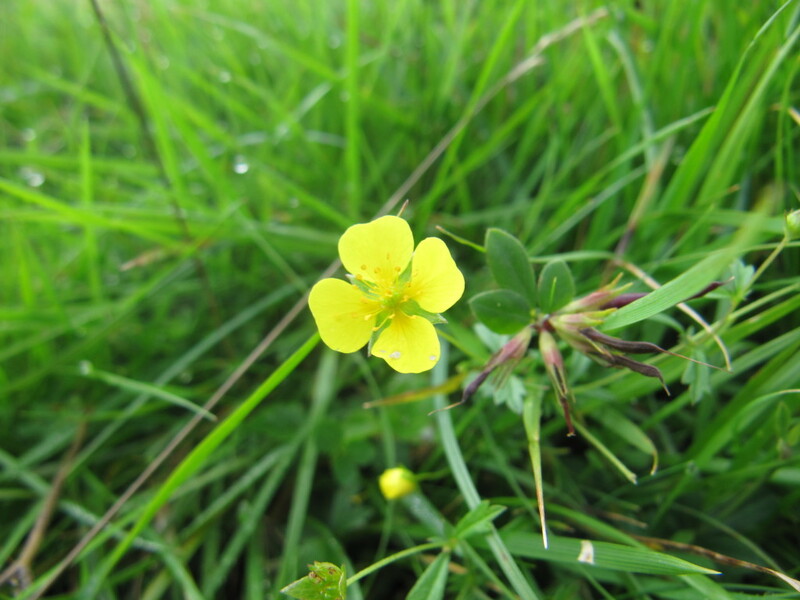 Whilst the Grouse and Meadow Pipits are ever present some birds are less common and thus grab my attention. The Curlew has arrived and circles me, crying. A Skylark’s constant conversation makes me look upwards to spot a tiny hovering speck that suddenly silences and falls back to the ground, camouflaged, unseen. The Kestrel hovering, wings working, tail twitching, head stock still seeking out its unwary prey and the Wheatear, startled into undulating flight from its ground nest, a flash of white in its tail as it goes. 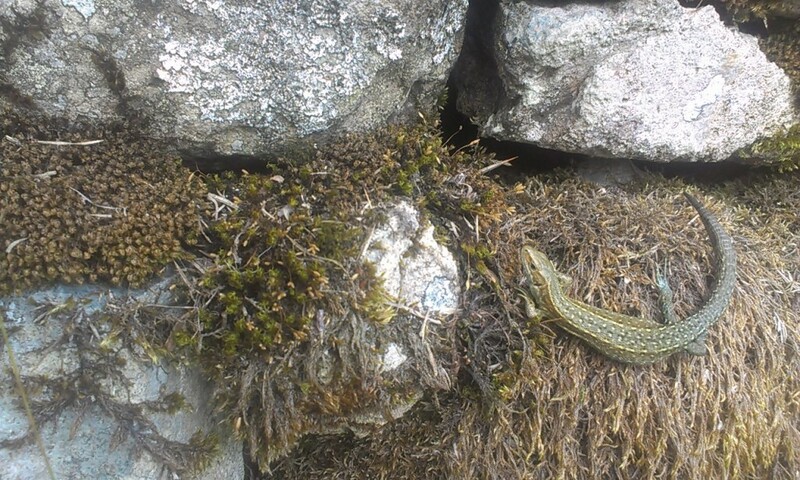 I spy a lizard camouflaged on a mossy wall and stop to take a closer look at its intricate markings. It stares back at me unflinching, unmoving save for a rapid pulsing in its neck. 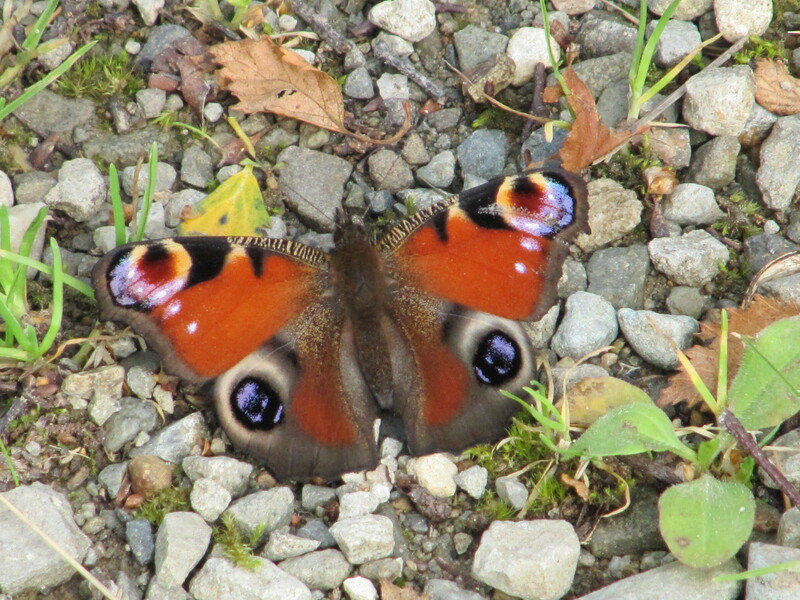 A Peacock Butterfly flits by me as I run and settles in the path a few metres ahead. In no rush today I slowly approach, getting close enough to inspect its delicate iridescent beauty. 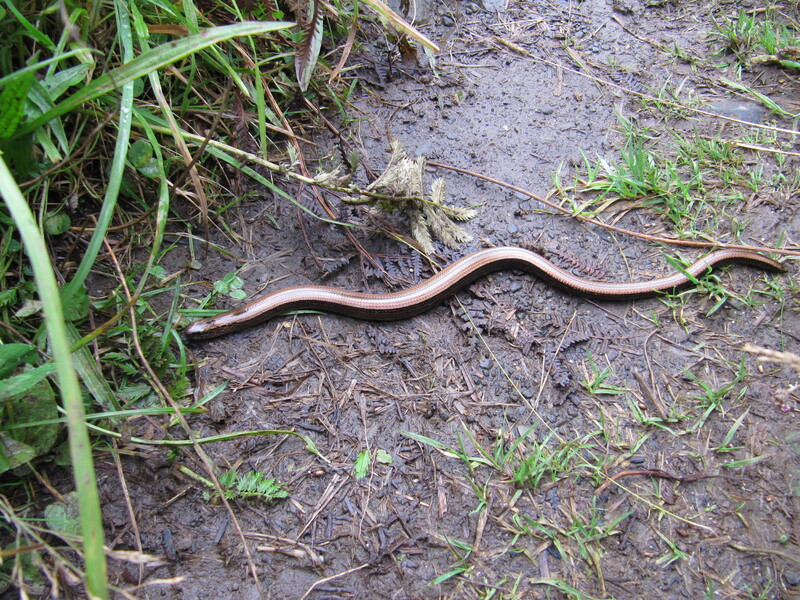 A damp path offers a rare treat, a Slow worm lies across my way. I stop, wary at first until I see no diamond markings then creep closer and admire the shining, almost polished bronze beauty. And when the colour fades from the day I run lazily towards the sinking sun on the blazing western horizon, happy to appreciate the beauty of easy running. 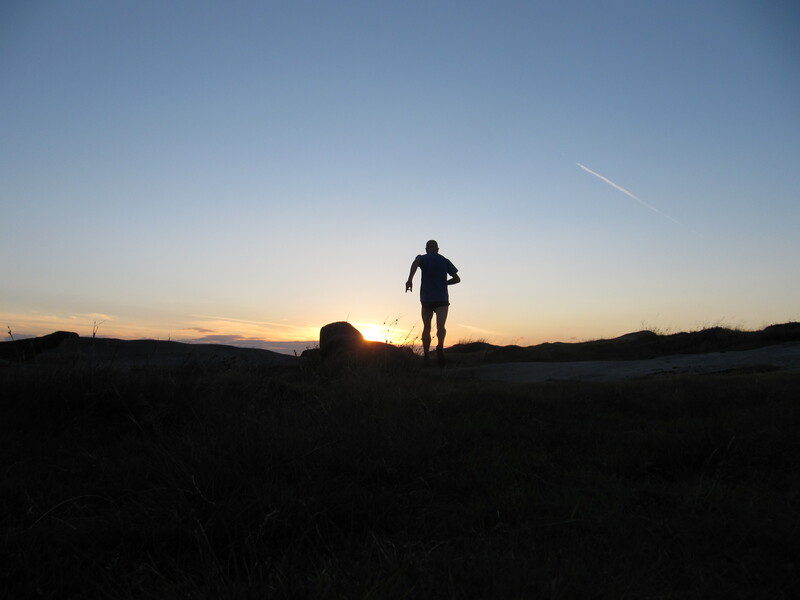 Posted in Blog, Fell running, Peak District and tagged fell running, nature, Peak District, trail running.